The new Silento, Calyx and Tresol LED luminaires embed energy-efficient LED technology in luminaires suited to flexible use. They provide ideal lighting solutions for any room. In the stairwell, living room or kitchen, the new luminaires from Osram combine design and functionality with modern light sources, creating light for a variety of needs. The LED luminaires in the new Calyx range are versatile thanks to their small dimensions, and of strikingly unique design. Because the electronic control gear is already integrated in the luminaire, it no longer needs to be installed separately. The Calyx pendant luminaire is particularly effective for illuminating living room and dining room spaces in a comfortable, warm light color. Thanks to their small size, LEDs can be incorporated in any number of designs, as demonstrated by the ultra-thin, clear lines of the Silento Poco and Silento Lungo pendant luminaires. 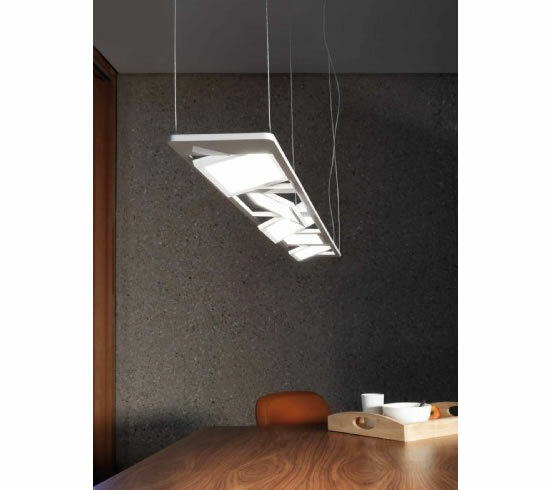 This unique pendant design with either three or five pivoting LED panels just eight millimeters thick provides flexible direct or indirect lighting. The seven-inch (17.8 cm) panels can be rotated through +180/-160 degrees, meaning the light can be directed right where it is needed. What is more, they give off a pleasant, warm light color and have a lamp life of up to 25,000 hours, equivalent to about 25 years assuming average daily operation of 2.7 hours. 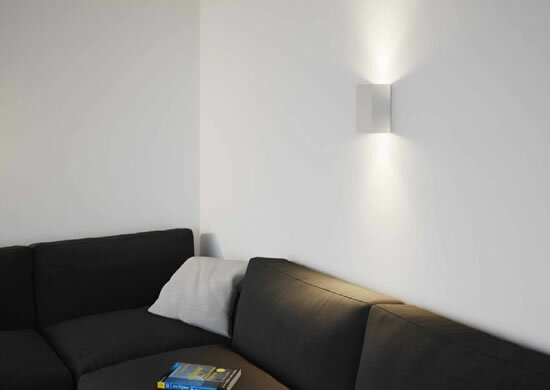 The Tresol family has been expanded to include two wall fixtures, available immediately: Tresol Bloc and Tresol Cube. The lighting modules in the cubic Tresol Bloc are mounted on the two ends. Their special feature: They can each be tilted 60 degrees to direct the light wherever it is needed. Tresol Bloc can be mounted horizontally or vertically. Warm white lighting accents also can be created with the Tresol Cube wall fixture, with its unique “V” shape. It is ideal for use in hallways, for example. 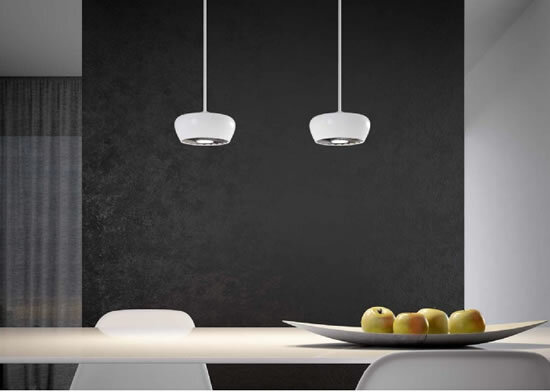 Calyx Pendant and Ceiling are available in stores now starting at €89.95 and €109.95 recommended retail price. The Silento pendant luminaires will be available in stores as of July for €299.95 and €399.95 recommended retail price. . The luminaires in the Tresol line are available now starting at €119.95 (Tresol Bloc) and €69.95 (Tresol Cube) recommended retail price. The luminaires in the Tresol line are available now starting at €119.95 (Tresol Bloc) and €69.95 (Tresol Cube) recommended retail price.